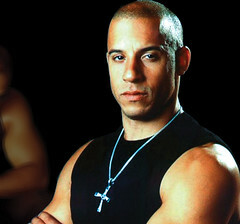 Vin Diesel and his crew will be filming much of the latest in the saga, ‘Fast and Furious 6’, here inTenerifeand everything is ready as the production gets underway. Vin returns to the big screen in the action-packed film, billed as the most ‘explosive’ yet, in the company of Paul Walker, Dwayne Johnson, Jordana Brewster, Tyrese Gibson and Michelle Rodriguez. Rumours abound that Rihanna might just have a part to play, too. Justin Lin will direct the film, and action is said to be based inSanta Cruz, Puerto de la Cruz and some coastal locations and a trip will also be made over to Lanzarote. So why chooseTenerife? Universal Studios are up front and say they are keen to take advantage of the Archipelago’s tax incentives with “The Fast and the Furious 6”. Universal is enjoying the 38 per cent tax credit for production dollars spent in theCanary Islands, with insiders estimating the deal could save the studio around $20 million. For theCanary Islands, however, the biggest problem is that its incentive program has not been tried and tested until recently. However, “Fast and Furious 6” was originally slated to shoot inMarseillesbut relocated to the Canaries for the bigger tax rebate. When currency rates are favourable, it can be another enormous boon to foreign productions. A film must qualify as Spanish to take advantage of the incentives. That could mean partnering with a local production company or using mostly Spanish cast or crew. Universal’s credit could require the production to shoot for at least two weeks on theCanary Islands, create a special tax structure and include local talent or professionals. Other qualifiers include partnering with a local production company. Posted by admin on Aug 10 2012. Filed under Local News. You can follow any responses to this entry through the RSS 2.0. Both comments and pings are currently closed.